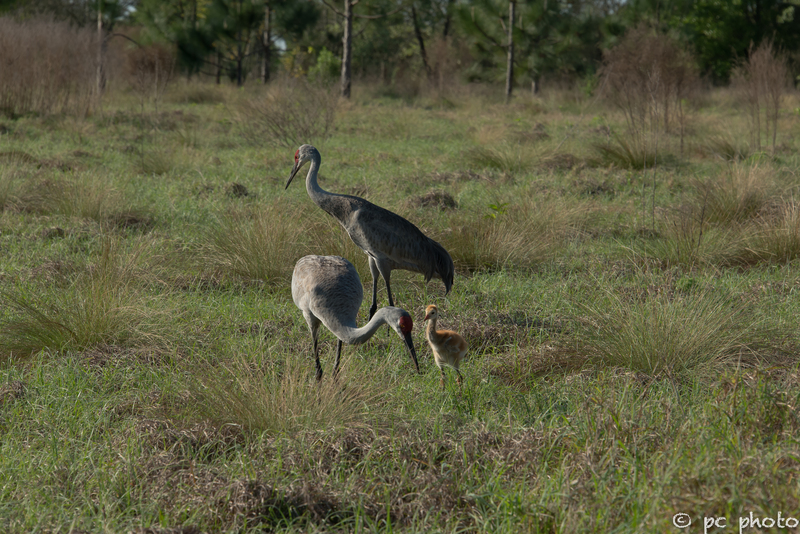 Sandhill Crane eggs have begun to hatch here in Florida. 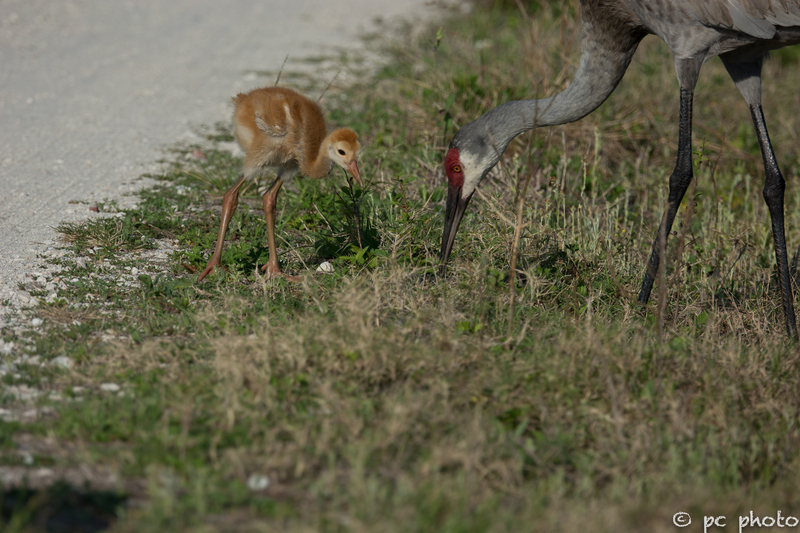 This week I watched this family for an hour as they meandered through the grasses foraging for food. Early morning dew from the grasses collected on the front of this one week old colt. 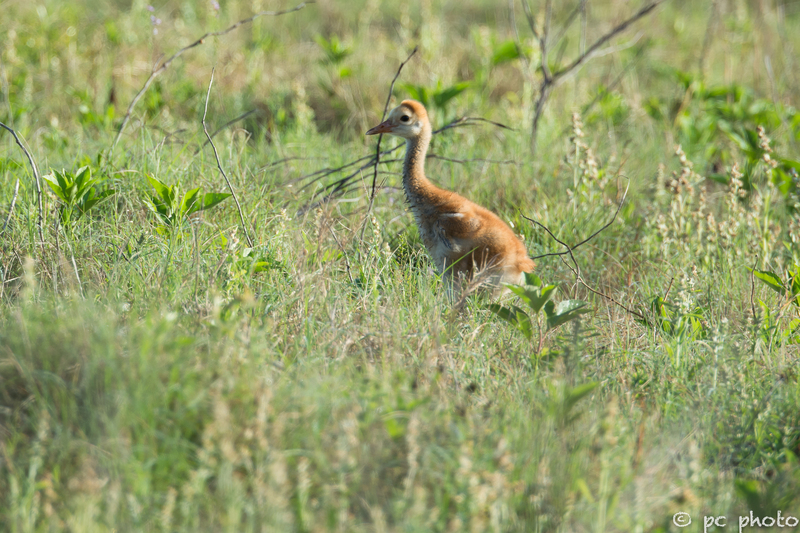 They often flap their wings while walking to keep their balance until they get a little bigger and used to their long legs. They shadow their parents waiting to be fed and learning how to find food. 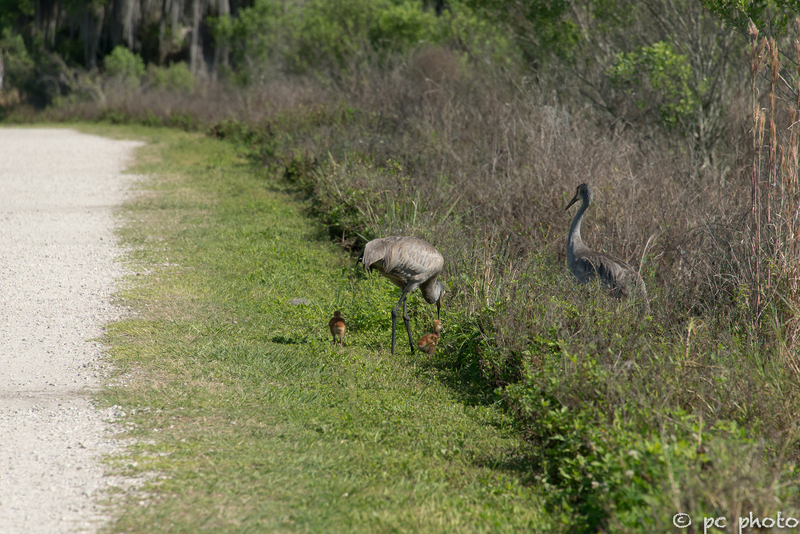 On the way back to the parking area I came across another Sandhill Crane family with 2 colts… they were on the way into tall grasses so we will have to wait for another day to tell their story.